When Nick Dunn, 62, separated from his partner and moved out of her home, he ideally wanted to buy a place of his own. 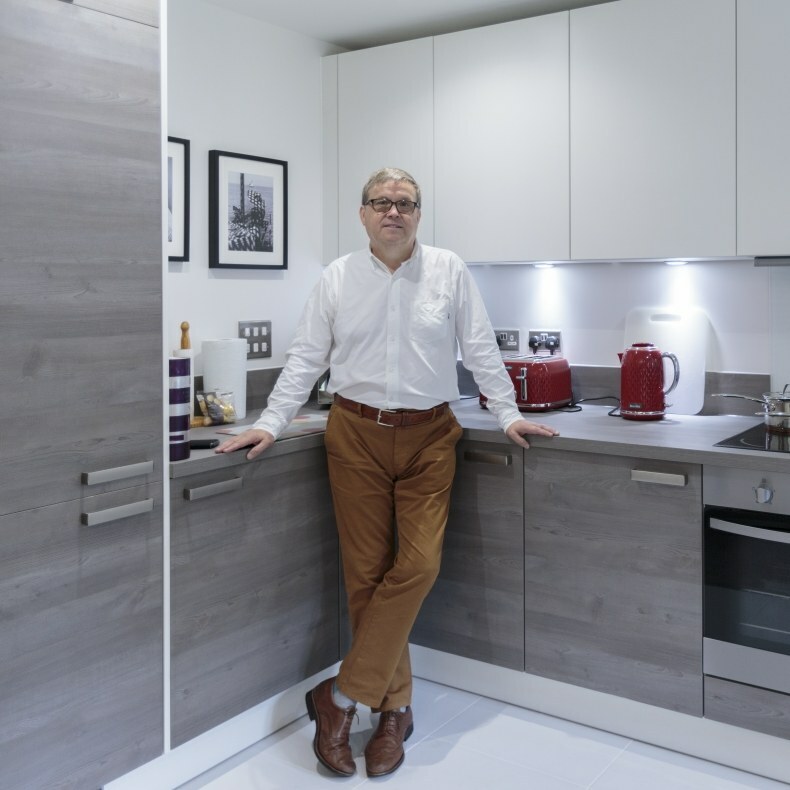 He didn’t think that this would be achievable, until he found out about shared ownership and bought a two-bedroom apartment from So Resi by Thames Valley Housing, giving him the fresh start he needed. "Being self-employed means that my income and business costs fluctuate year on year, and as the costs are set against earnings, this can make my income look low or unreliable. I consulted several mortgage consultants and, using the standard industry formulae, the combination of a modest income and age made it impossible to obtain a mortgage. Everything seemed to be working against me – it felt like I was being shut out of the property market. And being out of the market for so long made my position worse, as I had no equity from a property to use." Nick found the ideal place for his new life at Cardew Court, a popular development of one and two-bedroom apartments in Bracknell. Nick’s ground-floor apartment cost £282,500 and he bought a 65% share for £183,625 which he funded by cashing in his pension, topped up with money from an inheritance. His monthly outgoings are now very modest at £259 on the shared owned by TVH and £129 service charges. "The shared ownership scheme is managed well." “Everything went very smoothly. I didn’t have any experience of buying a shared ownership home, but everyone at Thames Valley Housing was so helpful and the shared ownership scheme is very well managed,” comments Nick.